Fight beasts and build wonders in your quest for the great Cretan Bull. "I've played many of the 12 Labours of Hercules games and wanted to start from the beginning. Some series when you start over are clumsy. Not the case with this game. The difficulty is just right and graphics are amazing. Plus the story line is great. I would highly recommend 12 Labours of Hercules II: The Cretan Bull." The evil goddess Hera has frightened the great Cretan bull. The bull is going wild and ruining the roads and many buildings. Help Hercules save the day by taming the great Cretan Bull. Collect and solve incredible puzzles as you meet heroes, fight beasts and build wonders. Enjoy colorful comics and surprising tricks as you accompany Hercules in his quest for the Cretan Bull. 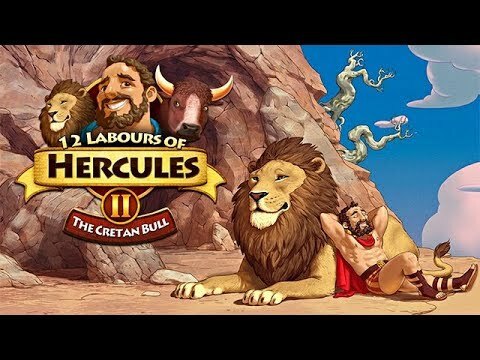 Featuring stunning HD graphics, amazing new wonders and unlockable extra bonus levels, your adventure awaits in 12 Labours of Hercules II: The Cretan Bull.